Book fairs are becoming more and more rampant in the country. 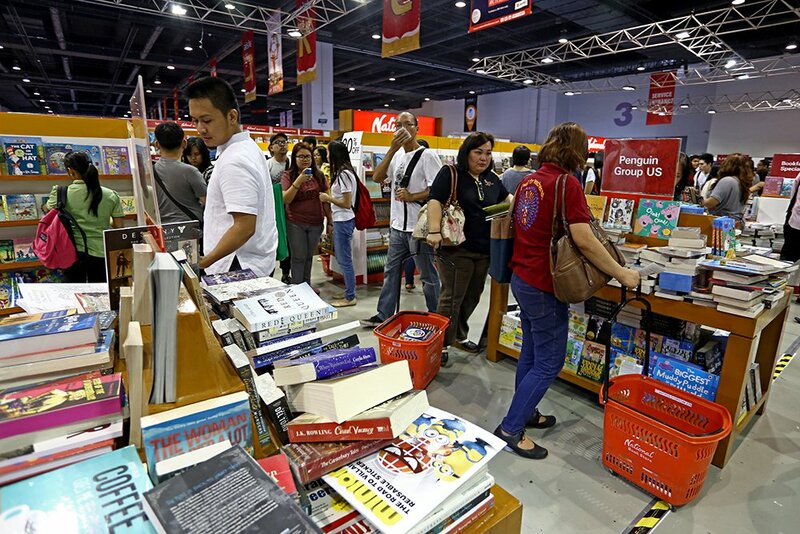 We have the longest-running Manila International Book Fair every September while the “world’s largest book sale” Big Bad Wolf comes to visit us every so often. With almost millions of offerings and huge discounts, we can’t help but look forward to book fairs of all kinds. But before we dash off to the SMX Convention Center in Pasay (where major fairs are usually held), here are some important reminders to make sure that the experience will be smooth and stress-free for you and your fellow attendees. The staff behind the book fair spent days stacking books in the most organized way possible. This is to make our book fair experience a lot easier. They categorized each book by genre and stacked it alphabetically based on the author’s surname. At the end of each day, these staffers will go through a tedious inventory, which involves arranging the books (yet again) by genre and by author surname. So if you don’t plan on buying the book you took from the stands, don’t just put it anywhere. Let’s make it easier for them and place the book back on the stacks gently like any other decent book fairgoer. Expect the high number of participants. Don’t be agitated when you see long entrance and checkout lines. Instead, just be patient and practice basic courtesy by falling in line. Do not crowd by the cashiers, too. Remember that there are a lot of people passing by and you don’t want to cause too much of a crowd. If you don’t want to wait behind long queues, we encourage you to go there early. You have been saving to buy these books for months, and you finally found time to go to the fair and buy it. But as you pass by an array of stalls, your eyes drifted to this local publishing house’s new titles. You assure yourself that you brought “extra cash” as you dive into reading the synopses of the new reads. But time has passed, and to your surprise, your basket is stacked to its fullest. To prevent yourself from getting in a dilemma of overspending, we encourage you to list the book titles. Track your budget with the titles so that you can easily choose which to get and which to save for later. Let’s continue cutting back our trash. Instead of asking for more paper bags, we encourage you to bring your own bag to carry your books in. Although your own essentials should be surrendered at the package counter upon entrance, at least have a prepared tote bag. Just stuffing your newfound books somewhere in your packed bag can damage it. Many authors, especially local ones, will be visiting the fair to sign their books. Although it may seem overwhelming to see some of your literature idols upfront, it’s best to keep yourself from being too loud to get their attention. You are not the only one who wants to have an autographed book. Just fall in line and you will get your turn in no time, don’t worry. If you want a photo with the author after having your book signed, just ask properly. However, do not block the table after your turn. We know you’re excited to check the signature and photo, but there are other readers waiting for their turn. To prevent yourself from panicking to go from one book stall to another to catch your favorite writers, save the schedule of book signing on your phone. It can be acquired from the Facebook pages of your preferred publishing houses.